I know it's been a minute since we've chatted. How have you been? Over here, I've been wrapping up writing my next book on happiness, and working on magazine pieces for which I've been chatting with people like the upbeat and hilarious Julia Louis-Dreyfus and the healthy and entreprenurial Jessica Alba. I was also lucky enough to work on this moving story with True Blood star Deborah Ann Woll: Her Boyfriend's Fight Against Blindness. This couple's hopeful attitude and persistence in finding a cure for his disease can be an inspiration for us all. But now I want to share an experience I had this week. It led to an idea that I hope you can use to amp the positivity in your own life. How Would YOU Use a "Karma Camera?" "How people treat you is their karma. How you react is yours." I've always thought it would be fun if each of us got a "Karma Cam" after someone screwed us over. You know karma, right? The belief that a person's negative act ripples through the universe and at some point comes back to them like a boomerang? Well, just imagine if, after someone dumps you, or steals your client, or cuts in front of you in line at Target, a Karma Cam would let you see the moment their negative action comes back at 'em. It sounds kind of delicious. And the other day, I essentially got to see a Karma Cam in action. I was driving along a busy road when I needed to switch lanes, so I put on my left turn signal. I was just about to slide over in front of a white car, when they hit the gas and inched up as close as possible to the car ahead so I couldn't fit in. The nerve, I thought. I was so peeved! But I kept driving, confident I'd find a spot to slide in soon. Well, as we all pulled away from a stop light, that white car lagged behind (texting, maybe? ), so I took the opportunity to switch lanes in front of it. And a few minutes later, I noticed in the rearview mirror that the woman in the white car was now trying to change lanes herself. And guess what? No one would let her in. I watched as car after car in the other lane inched up close just like she had. As she banged on her steering wheel with frustation, I admit it felt kind of good. That's when I realized the happiness math: Sure, it would be fun to see the negative come back around on the Karma Cam, but it's even more fun to actively do something positive to cancel it out. So try this: The next time someone really jabs you—in a little way or a big one—resist the urge to jab back. It's hard! But rather than paying the negative experience forward, pay it forward positively instead. Balance the world with better things. Because that is what is going to make you happier. • If someone has said harsh words to you, say some flattering, kind and loving words to someone else. It's not always easy, I know. To this day, every time I've opened my closet for the past two years, I still bristle at the thought of the publicist who nabbed my adorable go-to J. Crew blazer during a celebrity interview. But while I work on getting over that one—and I'm determined to!—I'm doing my best to balance the universe with better things. This piece I wrote with Jillian Michaels from The Biggest Loser, 5 Things You Shouldn't Give a Sh*t About, is a fun reminder that it's up to us what we focus on. Grab a new attitude and own it! Check out this roundup of Happy Actions on The Huffington Post, which cites some of the important elements that lead to happiness. See what's on this list that you can work on today. 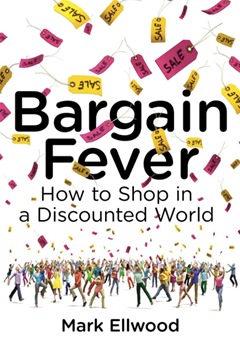 My friend Mark Ellwood just released his book Bargain Fever: How to Shop in a Discounted World. And I wanted to tell you about it, because it's full of little tips on saving money on clothing, flights, hotels and more. And I don't know about you, but a good deal makes me really, really, really happy. 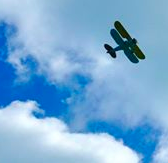 Stop by the Facebook page Bright Side Up, where I share little pieces of good news I find in studies, stories, videos or photos. I hope the things that make me feel better do the same for you! Does this email look weird? View it in your browser. 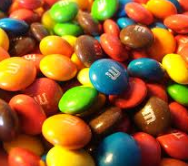 Are you getting your regular dose? Subscribe to Vitamin Optimism!